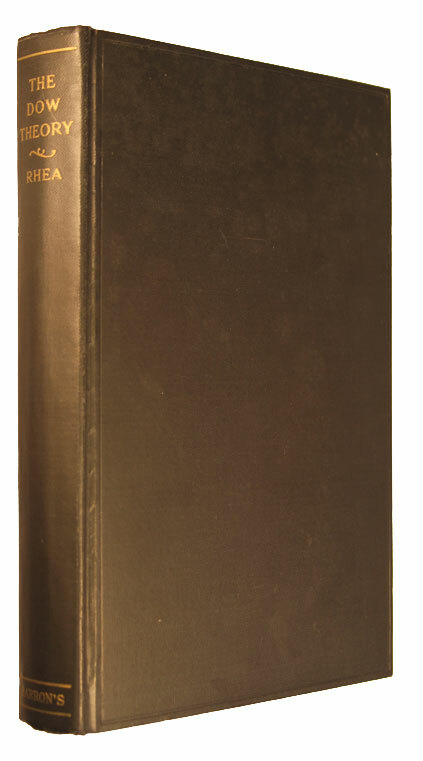 The Dow Theory: An Attempt to Define its Usefulness as an Aid to Speculation - IFA Vintage and Current Book Library - Index Fund Advisors, Inc.
Notes: A superb near mint copy. At his peak, Rhea had over 6,000 subscribers to his Dow Theory Comment Letters. Those who took his advice sold, or sold short during the cash of 1929.